Aishwarya Arjun is an Indian film actress who is known for her works in Tamil film industry. She has starred in films like Pattathu Yaanai, Prema Baraha and Solli Vidava. Aishwarya Arjun was born on 10 February 1990, in Bangalore, Karnataka, India. Aishwarya attended Sacred Heart Matriculation Higher Secondary School, Church Park in Chennai and earned her Bachelor of Commerce degree from Stella Maris College, Chennai, She then enrolled at the Birmingham City University in the United Kingdom to study Fashion. She has kept her personal life away from the media spotlight and thus there is not much information available of any relationship she has had in the past or in the present. 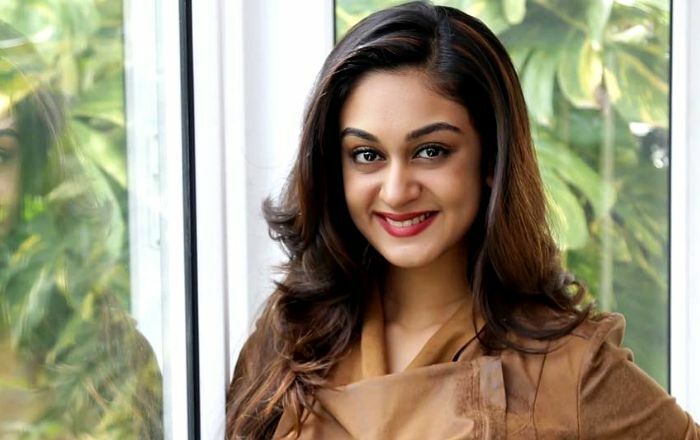 Aishwarya Arjun made her silver screen debut in the 2013 Tamil film Pattathu Yaanai as Aishwarya alongside Vishal in the lead role. She hasn’t appeared in any TV show to date. She hasn’t explicitly endorsed any brand or product till date. Being the daughter of popular actor and director Arjun, Aishwarya got interesting in acting at her young age. She revealed that her father is her biggest inspiration when it comes to acting. Her cousins Chiranjeevi Sarja and Dhruva Sarja are admired as Kannada actors. Also, her grandfather Shakti Prasad is well known for his work in the Kannada film industry. Her second film in Tamil Sollividava (Prema Baraha in Kannada), a bilingual film, was released on February 9, 2018, opened to mixed to positive reviews. The film was directed by her father, Arjun Saja under their family production house Sree Raam Films International.